Dirty Harry for a new generation. That's Jack Reacher in a nutshell. If you like the Dirty Harry movies chances are you'll like Jack Reacher. Sure, there are significant differences between Harry Callahan and Jack Reacher (the character), but there are a lot of similarities, too. Harry was a cop. An old school cop who was tired of all the political B.S. that he had to deal with so he tended to bend the rules as he saw fit in order to get the bad guys. 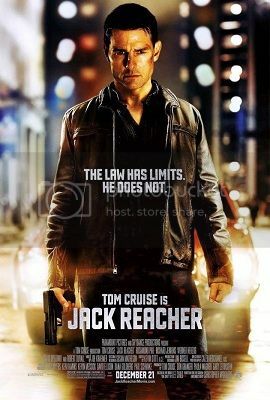 Jack Reacher was a military cop, but he retired and went off the grid. He never had any desire to become a civilian police officer or detective. Too many rules to follow. As the tag line for the movie says, he doesn't care about the law - he just cares about what's right. And like Dirty Harry, Jack Reacher has to solve a crime and find the bad guys. The case Reacher becomes a part of here is fairly interesting. It's not groundbreaking, but it is fairly well thought out and more than holds the viewer's attention throughout. What elevates Jack Reacher (the movie) is the character of Reacher. Obviously a well trained military man he excels in hand to hand combat and the use of weapons. He's tough, but he isn't just a machine. He geniunely cares about people. Reacher finds out that a former military sniper has been accused of a mass shooting in Pittsburgh, a former sniper that Reacher had investigated while both were still in the Army. Reacher knows that this man is capable of doing it, but when confronted with all too convenient evidence he can't help but investigate. Inconsistencies show up that lead Reacher to believe that the man who was guilty before may not be guilty of this particular crime, and Reacher wants to know who would have the ability to pull off such a frame job. There are a few twists and turns along the way, some fairly obvious, some not as much, but the story is interesting enough that when combined with the modern twist on Dirty Harry you get one very entertaining movie. Tom Cruise makes the part of Jack Reacher his own. While Cruise may not match the description of Reacher in the novels, he does a great job of bringing the character to life and making him believable. Age has helped Cruise bring more gravitas to his performances. When he was younger he was almost too good looking to be completely believable in some of his roles. Now older with a few more lines on his face he carries with him a look and a demeanor that lends more credibility to his performances, and Jack Reacher is a great example of that. Rosamund Pike does a fantastic job as the defense attorney for the man falsely accused of the massacre (initially she just wants to make sure he isn't railroaded into a death penalty by making sure he gets a fair trial). She also happens to be the daughter of the District Attorney who is known for railroading suspects. Pike manages to hide her English accent by adopting a fairly believable American accent. Doing that while giving a good performance overall is impressive. In a smaller role Robert Duvall gets a chance to be Robert Duvall (more or less), and his presence lends even more credibility to the movie. The rest of the cast is good as well, with even the weakest performances at least being fairly believable given the events unfolding in the story. Christopher McQuarrie both wrote and directed the movie, and there is a focus that comes from that process. Jack Reacher is cohesive and the story unfolds in a way that makes sense. Most importantly, it is entertaining. Like the best of the Dirty Harry movies we get to enjoy Reacher's abuse of the bad guys, and like the best of the Dirty Harry movies this film is a lot of fun to watch. 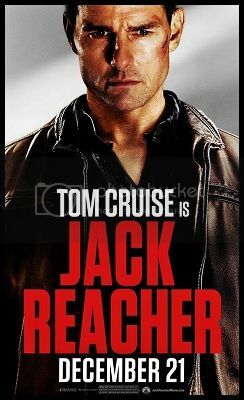 It would certainly be nice to see a string of Jack Reacher movies as this one was well worth the ticket price. And, let's face it, Clint Eastwood hasn't done a Dirty Harry movie in over twenty-five years, and isn't going to make another one in his lifetime. There's still a place for movies like Jack Reacher. Hopefully we get to see at least a couple more of them.